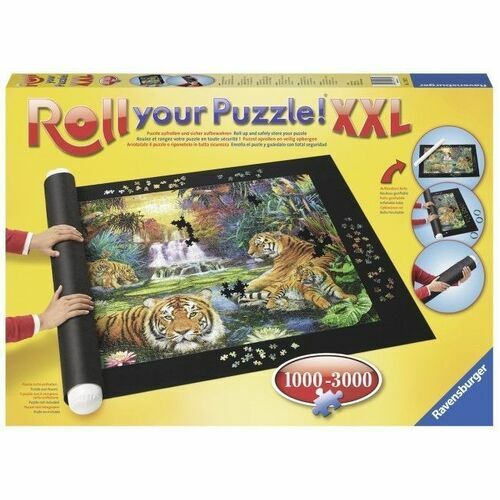 Our Roll Your Puzzle mat provides a work surface for puzzles of 1000 to 3,000 pieces. 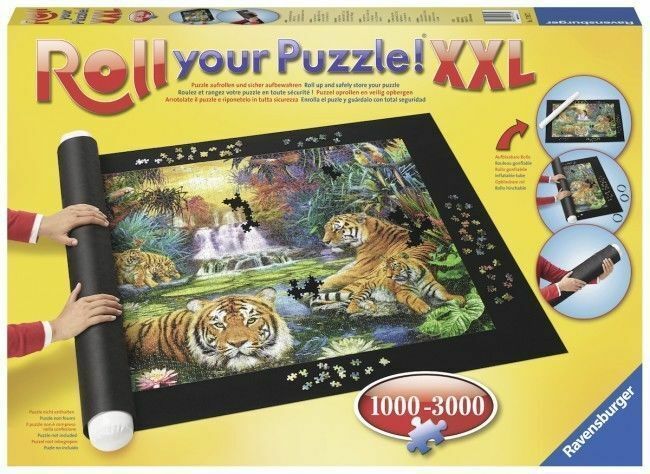 The puzzle is constructed directly onto the non-slip felt mat. For storage, simply inflate the plastic tube, wrap the puzzle around it and secure with the rubber bands provided. 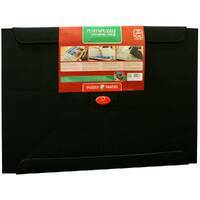 The puzzle can then be easily stored using a minimum of space.